Finding a place to stay is a challenge for several tourists. The location, the service quality, the atmosphere, all of those things is major concerns of many Asia Marvels’ readers. That is the reason why we have to spend time to collect ideas from many people regarding this issue. If you are in a paradise but your hotel is not good, it will definitely ruin your whole trip. This time, Asia Marvels will help you totally eliminating that unexpected situation. 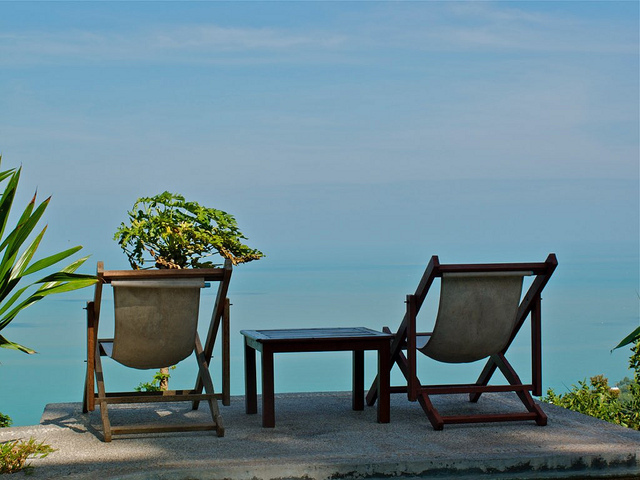 The hotels we list below are recommended by many visitors who gradually visit Thailand. There are also negative comments about many hotels, but of course we are not supposed to mention them. 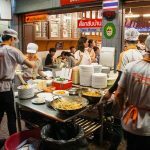 For the convenience of booking hotels in Thailand and Southeast Asiain general, we advise you to book through this website. Perhaps this link is too common for most of people who usually travel abroad for vacations. The reason is that the price offer by this agency is much better than other agencies and intermediaries. Moreover, they frequently have discount. 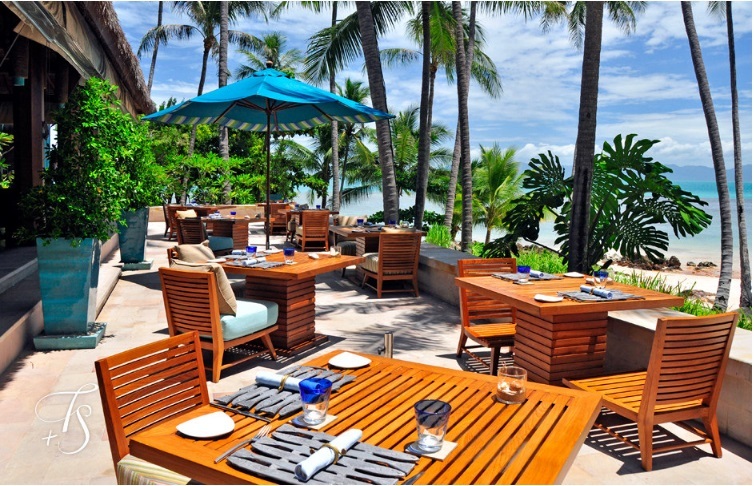 You can find the detail information about the resorts and hotels in Koh Samui via the link above. Aside from Agoda, you can book the hotel through another link, which is here. This is a prestigious booking site with Thai market, they always have good price and fast service. However, this site’s expertise is tour guide rather than booking hotels. But once you are familiar with this, the booking process is not complicated at all. The choices depend on whether you want to stay near the beach or the city. Of course, the price for a hotel near the beach is always higher. From the street, you have to catch vehicles in order to get to the sea. However, the advantage when staying in the city is that at night, you can take a walk, enjoy the night life and easily come back to the hotel whenever you want. For people who want to be near the beach, the zones you should consider are Chaweng beach, Mae Nam beach, Bo Put beach, Lamai beach. Hotels in these zones are near the airport and far from the dock. The price for one night is about $40. It could be more than $50 if the hotel have exclusive beach. 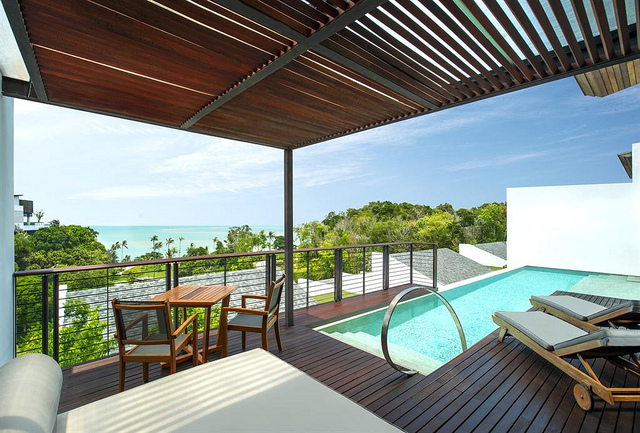 One of the best resorts is Samui Escape Resort. You will get the best price for this resort if you book 2 months in advance, about 12,000 baht for 4 nights for the most expensive room of the resort with private balcony, adjacent to the beach, not upstairs. We would like to quote a review from a visitor: “The resort is small and beautiful, looking down from the mountain, it is like a village with house made from leaves. The space is cover by trees and grasses, with many rooms close to each other”. In order to get more detail about the price, you can visit this website. 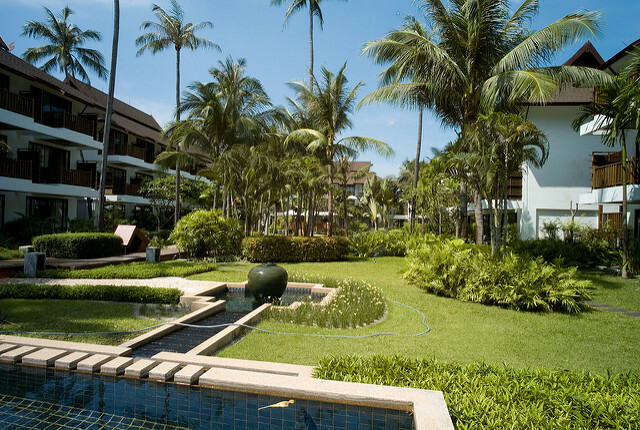 Being surrounded by a tropical garden, Four Seasons Resort is located in an oasis which belongs to LaemYai Bay, in the southeast Koh Samui. The resort has 40 villas in total, with large and airy rooms. The rooms provide you views to the bay, which is extremely gorgeous. The resort is also an ideal place if you want to experience the spa right at the center of the forest, being “drowned” in the beauty of the quiet forest and enjoy the delicious foods which make the brand of the resort. The price for a room is usually 31,000 baht ($990). You can check more detail of the rooms here. We would like to quote a review about Jungle Club. This is a small place for you to stay. 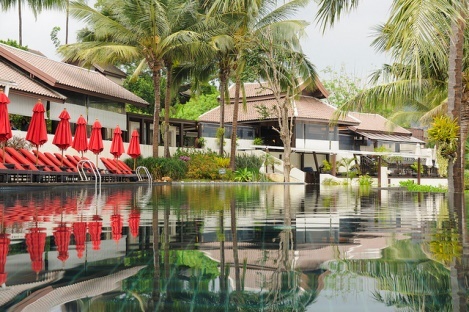 It is hard to call it resort because the facility here is not like many other big resorts, like Four Season or Samui Escape. It only has rooms and swimming pool. The interesting point is that it is located highly on the mountain, far away from the downward noisy world. Jungle Club has about more than 10 bedrooms. 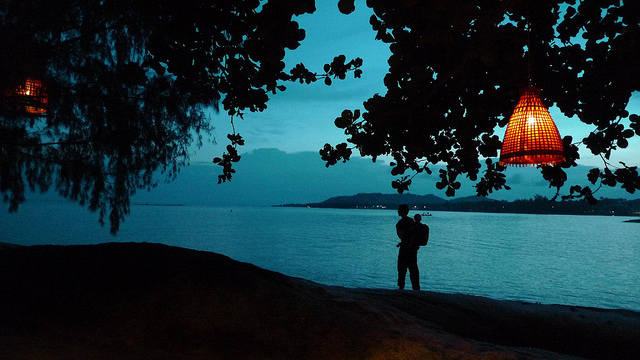 From the rooms, you can admire the beauty of Chaweng beach. The way to the “mini resort” is very steep and vehicles have to struggle with it. The important point which makes this place an ideal choice is that despite the hot season, it is always cool up there. However, this is truly a getaway place. It doesn’t have TV, crowd and also the internet is limited. For anyone who is seeking for a totally wild experience, like the castle on the mountain of Dracula or the isolated zone of goodness creatures on movies, this is a good choice. You can find the booking detail here. Last word, imagine the moment that you put aside all the things in normal life, which cause your stress, tension and depression, and then enjoy the magnificent beauty of the earth, the nature, to feel how small we are and how gorgeous the nature is. 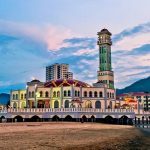 What To Do In Penang In 2-3 Days?